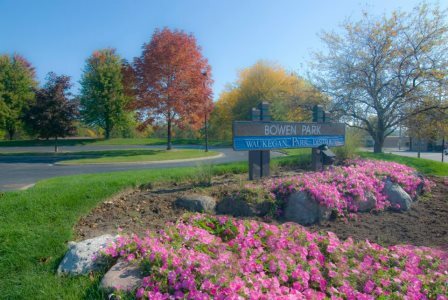 Bowen Park has been transformed into a public park with the widest possible range of recreation facilities. The park houses the Waukegan History Museum and the John L. Raymond Historic Research Library. 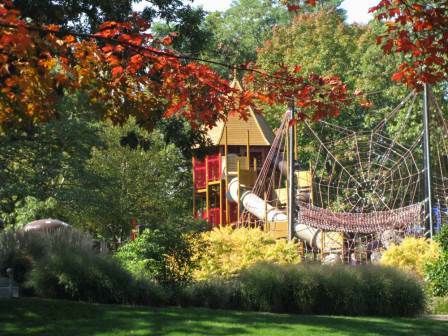 The park also features Grosche Baseball Field, Waukegan Skate Park and a 2008 award-winning playground. The playground, themed 'Forest Findings' is equipped with modern playground amenities, combined with several environmental learning stations that represent a forest ecosystem. Children can splash in the water spray area, observe animal footprints, sit on the fungi bench, slide down the forty foot tunnel slides or climb a spider web. 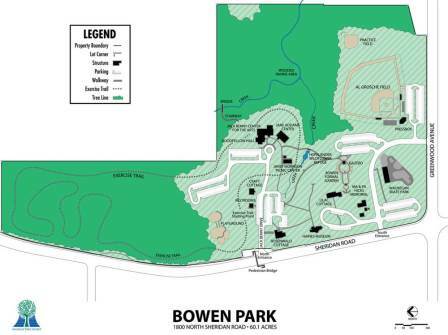 Bowen Park is also the home for the Jack Benny Center for the Arts that opened in February 1987.